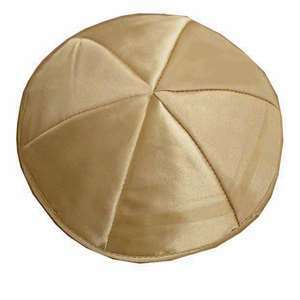 Satin 6-panel kippah. NOTE: These sometimes come in as 4-panel, sometimes as 6-panel. The description above is what we have now.